“Mr. Hippo! Shall we have a tug-of-war? I bet I’m as strong as you are!” said the tortoise. The tortoise laughed at this ridiculous idea but agreed. 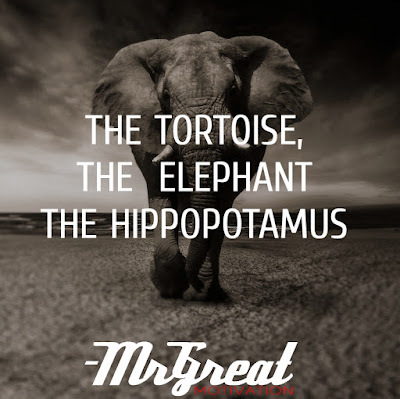 The tortoise produced a long rope and told the hippo to hold it in his mouth until the tortoise shouted “Hey!”. Then he ran halfway back down the hill, to a place where he couldn’t be seen and shouted “HEY!”. 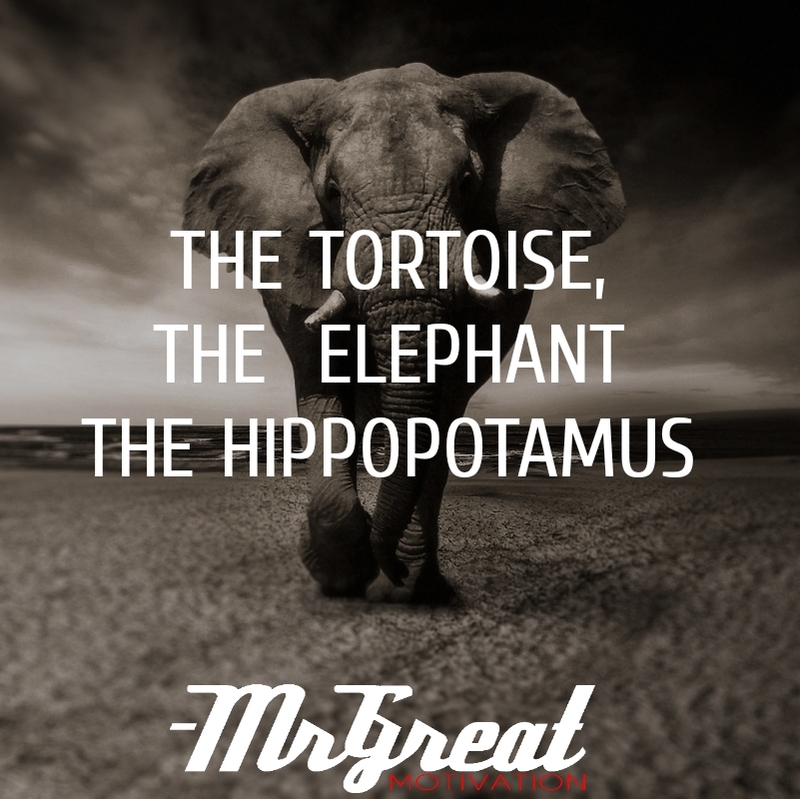 The elephant and the hippopotamus pulled and pulled, but neither could budge the other – they were of equal strength. Be aware of clever people, they would steal/utilize your powers/efforts by giving you the impression of being a week. Learn to demonstrate your skills and power in the right way by not getting deceived by clever people.